Making your own DIY diabetic dog treats for your favorite little pooch, just got a whole lot easier. First, let me say I am sorry that your pup is diabetic, but the good news is that it can be manageable if you are taking the proper steps. Second, you have come to the right place. This is a guide to help you through making your own diabetic approved doggie treats! My Dog Has Diabetes: NOW WHAT? So a few weeks ago, I put together a collection of The Best Recipes for DIY Dog Treats and then after, I thought, hey what about other dog’s that have dietary concerns like diabetes?? They need treats too!! There are many reasons we give our dogs snacks, and it is so important to make sure you are giving them something that will be safe. 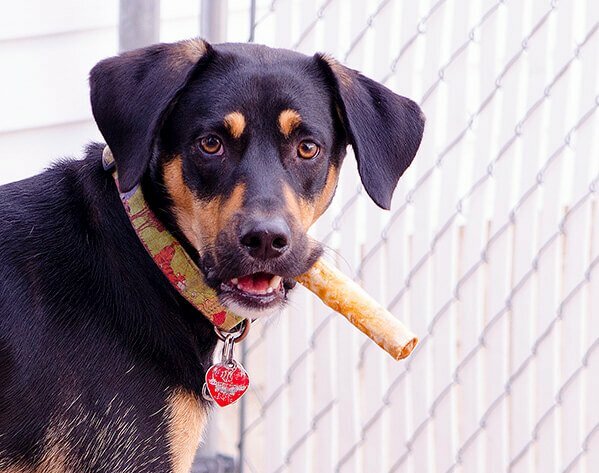 Whether you use treats as a training tool, a way to keep your dog’s blood glucose up or a reward for going potty outdoors, your pup probably goes crazy for them! If your dog has to get injections, giving them a yummy treat will make the shots not seem so bad too. DIY DIABETIC DOG TREATS: What do I give them?? Making diabetic dog treats yourself is way better than buying commercial treats because you can control what goes in them. 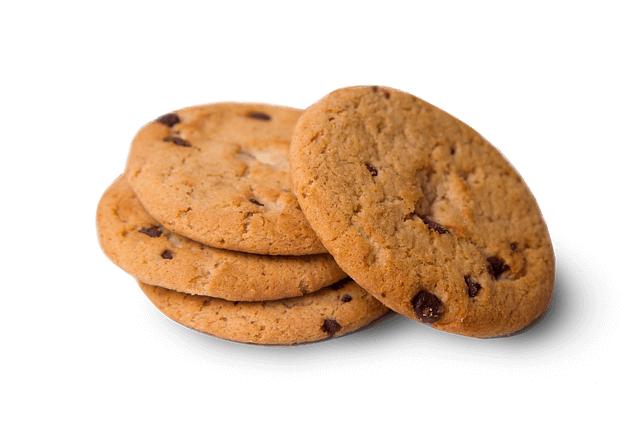 It is vital that you make sure that the dog treat recipes you use are low in sugar and carbohydrates. Just like in humans, carbs and sugar are two things that you shouldn’t overeat especially when you have diabetes. Choosing some lower-fat meats to make your dog treats is a fantastic way to add protein to their diet. This is very important if they are already overweight too. Here are some ideas to add some protein-rich treats to your dogs daily routine. Dried salmon – dogs just love the taste of most seafood. 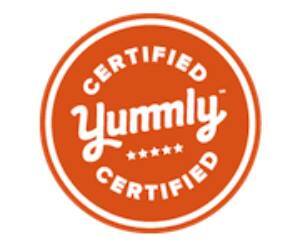 It is healthy and loaded tastes amazing to most dogs. 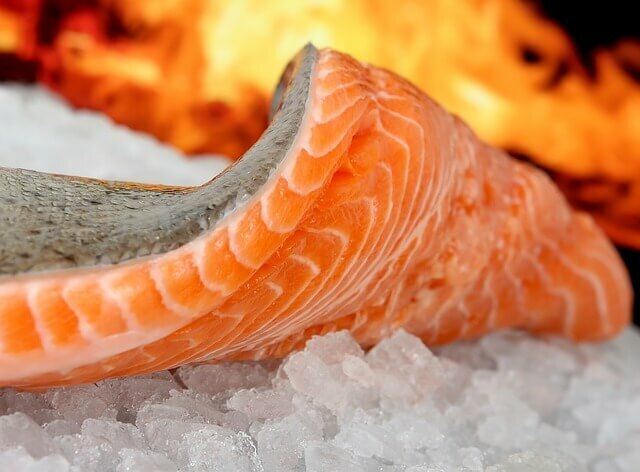 (You can cut salmon very thin, cook it, then place it on a parchment lined baking sheet, and dry it out in your oven at the lowest setting your oven will go, and then let it go until completely dried out). 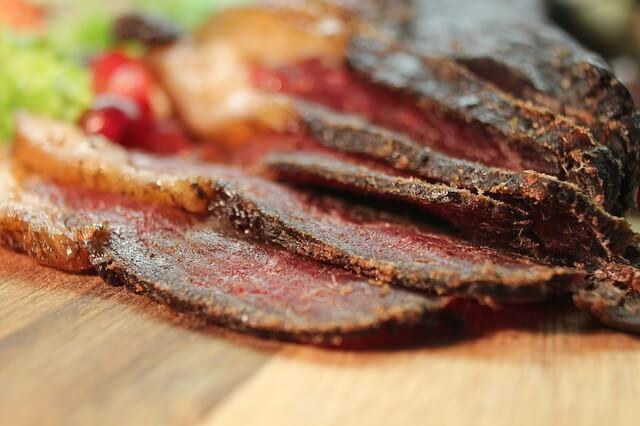 Beef – the best way is to cook it, dehydrate it and serve it like beef jerky treats. Dogs will go crazy for it, just like humans do. Turkey – you can use ground or dehydrated turkey. Same directions as above. Sardines – they are loaded with healthy protein, omega-3 and don’t have a lot of mercury. 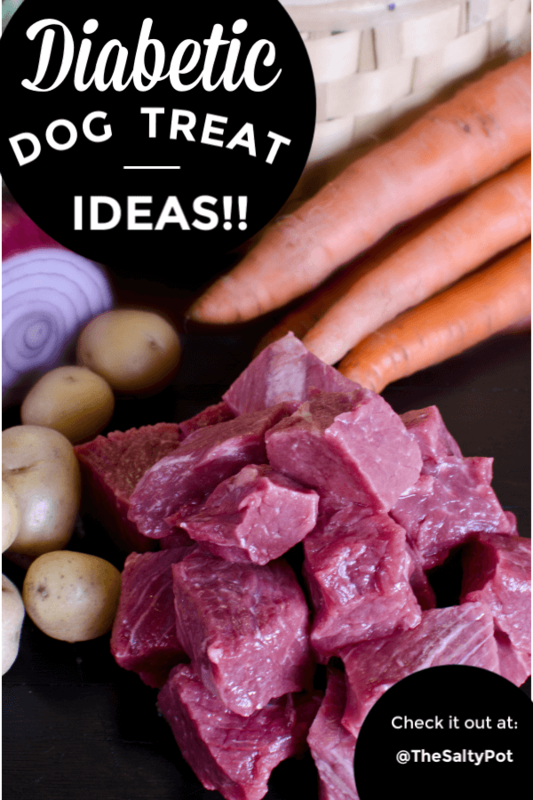 Tuna – this is such an easy treat idea that most dogs go crazy for. Low-fat cheese – it is important to keep fat consumption low, especially if your puppy is overweight. Careful not to give too much as it can cause constipation. This is a treat only!! 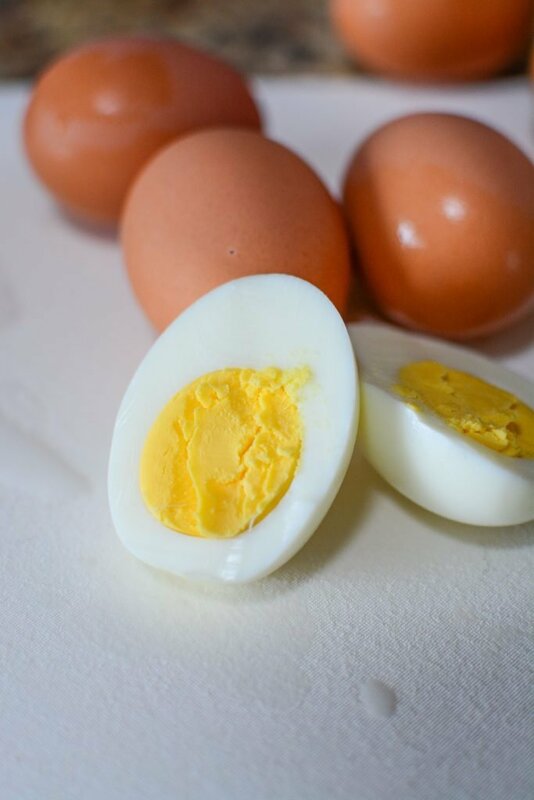 Eggs – can be cooked as scrambled or hard-boiled. You just don’t want to have extra fat or grease added to them. I know it sounds crazy to think that your pooch would even consider eating vegetables, but really dogs love the flavors of many fruits and vegetables. Healthy plant-based foods are full of fiber, water, vitamins, and other nutrients that are good for any dog. When it comes to fruits, you want to limit the amount you give because they do have a lot of sugar. Just remember to give small portions and keep a close watch on what your dog is eating, and you should be okay. You can serve the fruits and veggies fresh, cooked or even frozen. Cucumber slices – your dog will love the coolness of the cucumber and the slightly sweet flavor too. 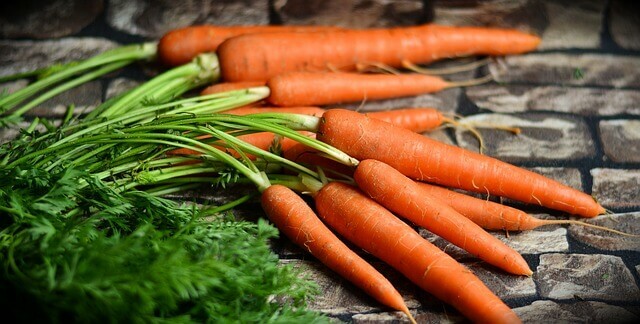 Carrot sticks – they are sweet, crunchy and just plain fun to eat. Broccoli – it has so many delicious nutrients like vitamin b, vitamin c, iron, magnesium, beta carotene, and fiber. Green beans – can be served fresh, frozen or as an ingredient in a recipe. Either way, your dog is going to love them. 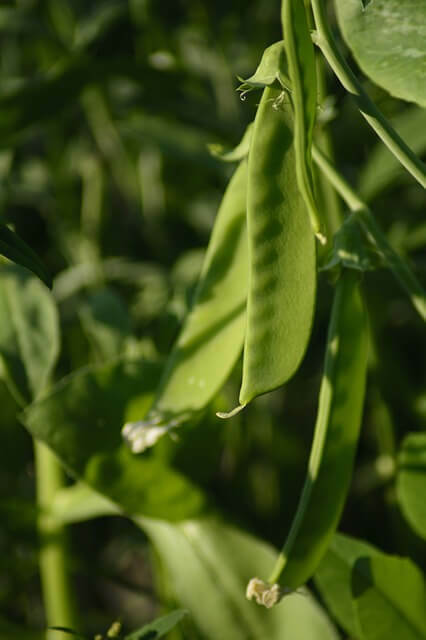 Snap peas – they are crisp, refreshing and have a sweet flavor that your pet will like. 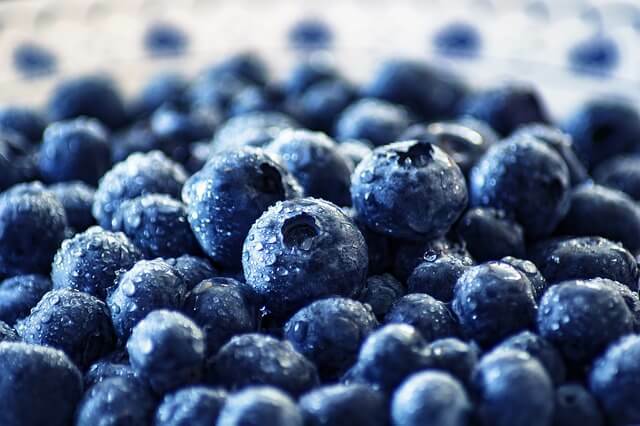 Berries – strawberries, blueberries, and raspberries are great for your dog. Just make sure not to give them too much. They could get very upset tummies. Pears – your dog will not be able to turn away the sweetness of the pear. 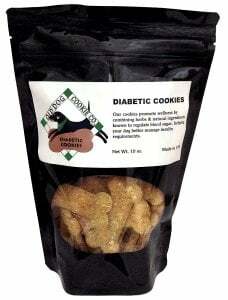 These diabetic cookies are all-natural and vet approved and could help your pup manage insulin requirements. There are several things you should avoid giving your dog if he or she is diabetic. Here is a list of the most common foods to avoid. Table scraps – they are often loaded with carbohydrates, bad fats and simple sugars that your pet shouldn’t be eating. 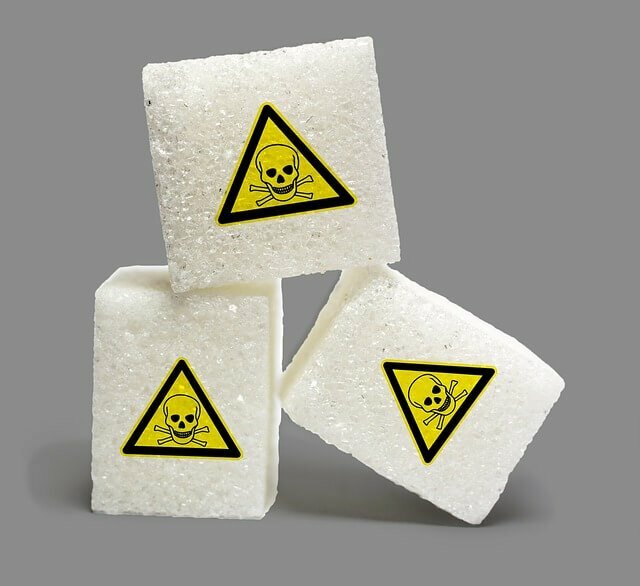 Simple sugars – a simple sugar will raise your puppy’s blood sugar, and you don’t want that. Any human processed foods are a no go. Some fruits and veggies like grapes, onions, and raisins are not good for our pups! Bread – for many of us, bread is comfort food, but it isn’t a good idea if your pup is diabetic. A lot of the processed dog ‘treats’ that you find in grocery stores in the pet section are often bad nutrition. Some times made from corn or flour, they are bad for regular dogs, never mind diabetic dogs. I hope that I’ve outlined a few good points on how to make your DIY diabetic dog treats. It’s important to note that I am not a veterinarian, and these suggestions above are only guidelines. Every pup is different, and these suggestions don’t account for food allergies and other sensitivities. If you want to try these suggestions with your pooch, it’s a good idea to check with your vet, as they can give you a more specific idea if these treats would be a good fit for your furry friend! Even though your pup might have some health issues, they are manageable with a little planning ahead and making things interesting for the dog. If you have any other DIY diabetic dog treat ideas, please leave a comment below and share them with our readers! I’d love to hear from you! Thanks for stopping by The Salty Pot today!